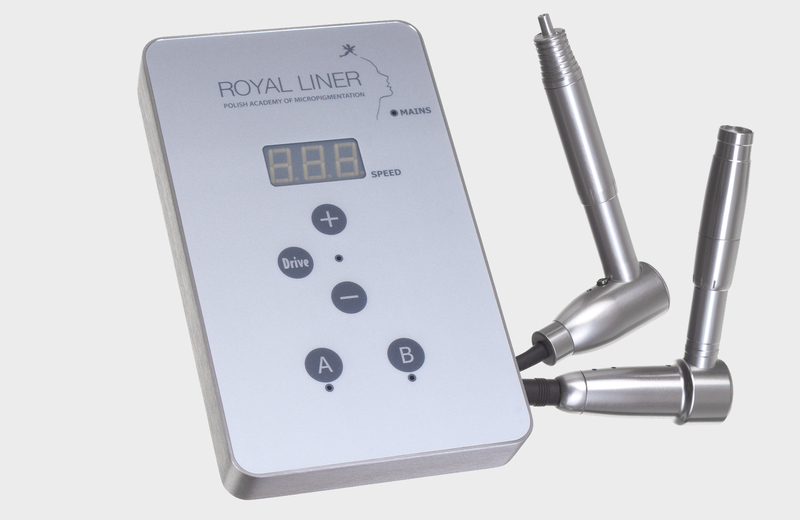 The acupuncture handle and individually adjustable needle stroke provide pigmentation with a low level of invasiveness, with a minimum penetration depth, which allows to obtain aesthetically convincing makeup with maximum durability. 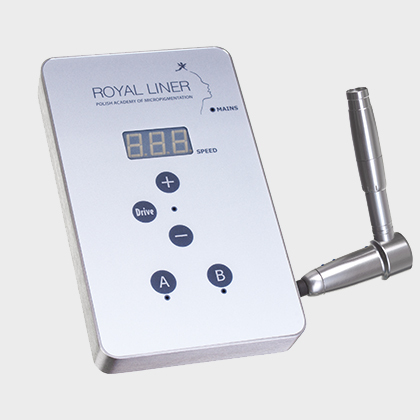 The system handle is the most modern device from the Royal Liner brand. 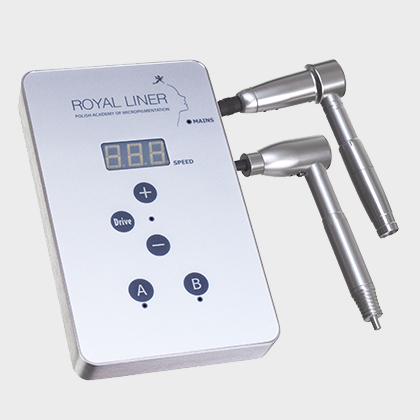 Minimized vibrations and quietness of the device ensure extraordinary precision and easy handling. The effects of work are comparable to the acupuncture handle. Cartridges / modules handle – however, we recommend using NT nano cartridges for perfect work results.